The Deluxe Room at the Millennium Istanbul Golden Horn Hotel. 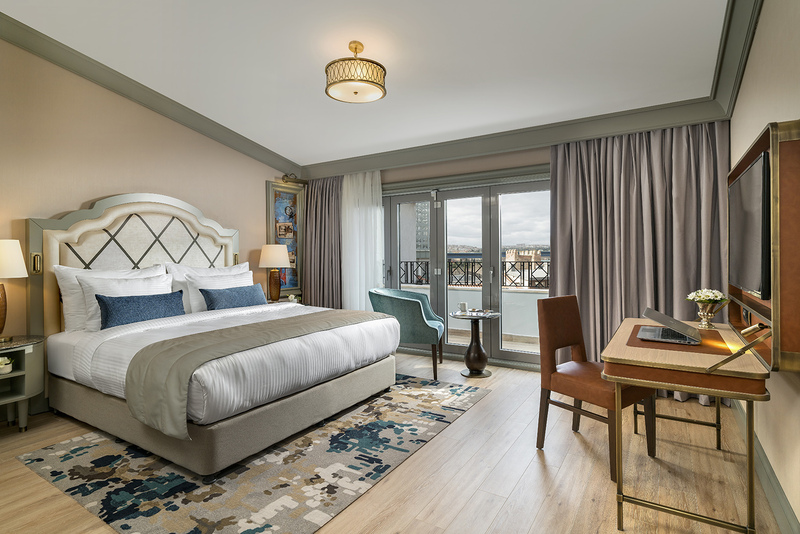 The Millennium brand is set to debut on the Istanbul hotel landscape in a couple of weeks, with the opening of the Millennium Istanbul Golden Horn Hotel. Located in the heart of the city’s historical center, within the garden of The Palace of Blachernae and opposite the Ayazma and the Church St. Mary of Blachaernae, this will be the hotel company’s first opening in Turkey. The 127-room hotel, named after the nearby “Haliç” or primary inlet of the famous Bosphorus, will offer guests a front row seat to Istanbul’s world-famous urban waterway. And just a hop, skip and a jump away are Istanbul’s most compelling attractions, including the Kariye (Khora) Mosque and Museum, the charming neighborhood of Balat, with its colorful century-old Ottoman houses protected by UNESCO, Pierre Loti Hill, and the city’s historic holy churches, synagogues and mosques. In fact, the hotel is ideally located: It’s just a few steps from the nearest Metrobus station and Ayvansaray Pier, two miles away from the Haliç Congress Centre, a 10-minute walking distance to the Old City, and just nine miles away from Ataturk International Airport. Amenities will include a fitness center, luxury spa and Turkish hammam, as well as all-day dining at Keros, offering a wide range of world cuisine and Turkish specialties including an extensive breakfast buffet. For steakhouse fanatics, Tekfur is open for lunch or dinner, while guests will step back in time at the Kathisma Private Dining Room, with an array of special dishes designed to take guests back to the Byzantium period. 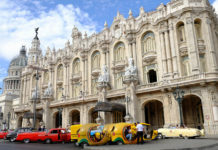 For more information, visit millenniumhotels.com. with the opening of the Millennium Istanbul Golden Horn Hotel.